Leading by example is one of the best ways for religious rulers to prove to their followers that violence only leads to the further division of a community. That peaceful mindset was the pinnacle of the beliefs of Mahatma Gandhi, whose life and tragic death are chronicled in the new historical drama, ‘The Gandhi Murder.’ In honor of the film now playing in theaters, courtesy of Rising Star Entertainment Ltd., ShockYa is premiering an exclusive clip from the conspiracy theory movie. ‘The Gandhi Murder’ was written by Ralitza Ivanova and directed by Karim Traidia and Pankaj Sehgal. The biopic stars Stephen Lang, Luke Pasqualino, Gregory Schwabe, Om Puri, Vinnie Jones, Alessa Novelli, Govind Namdeo, Rajit Kappor and Jesus Sans in the title role. 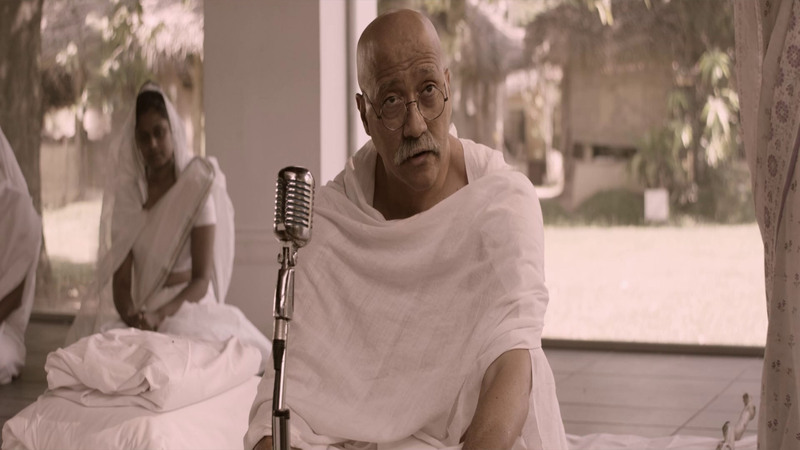 ‘The Gandhi Murder’ is a period film that’s based on the true events that led to the eventual assassination of Mahatma Gandhi. The movie demonstrates a violent India, at the backdrop of a non-violent Gandhi, and hard-line fanatic mind-sets beginning to grow roots in an India divided on the basis of religion. The feature is a story of three police officers in different parts of India, who, well aware of the intelligence that Gandhi’s life in under threat, must take key decisions that would eventually either save the Mahatma, or the country. ShockYa is premiering an exclusive clip from directors Karim Traidia and Pankaj Sehgal's historical drama, 'The Gandhi Murder,' which stars Jesus Sans and Stephen Lang.